Working with Bupa Health care Insurance. From June 2015 Dr Fredericksen has be working with Bupa UK, providing their members with quality chiropractic care at Shrewsbury Family Chiropractic. While we are a private practice where patients pay for care themselves, there have been a number of people in the past that have had care turned down due to them wanting to claim the costs of care from their insurance providers. Many insurance providers will allow their members to be seen by any registered health professional so long as the care is covered under the member’s policy. Bupa on the other hand requires practitioners to have over 5 years experience in practice in the UK prior to being registered with them. So while we are not hugely reliant on being an insurance-based practice, Bupa UK does promote a very small milestone. That anniversary passed a fair while ago for Dr Fredericksen but any little moment in such an awesome profession like chiropractic should be celebrated. So being registered with Bupa marks a little snippet of recognition of his time in the UK. 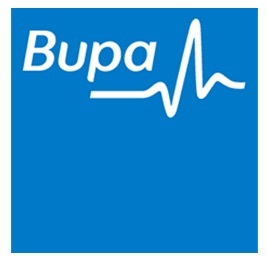 The upside to this agreement is that now Bupa UK members will have exposure to a practice in Shrewsbury that is passionate about great health and wellness. If you do have insurance provided though Bupa you can contact Shrewsbury Family Chiropractic on 01743 588 190 to arrange an appointment or to find out more information about how chiropractic care may offer you a solution to many ongoing health issues.